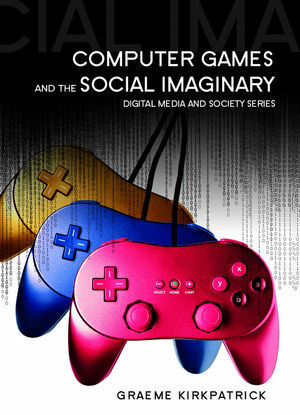 In this compelling book, Graeme Kirkpatrick argues that computer games have fundamentally altered the relation of self and society in the digital age. Tracing the origins of gaming to the revival of play in the 1960s counter culture, Computer Games and the Social Imaginary describes how the energies of that movement transformed computer technology from something ugly and machine-like into a world of colour and ‘fun’. In the process, play with computers became computer gaming – a new cultural practice with its own values. From the late 1980s gaming became a resource for people to draw upon as they faced the challenges of life in a new, globalizing digital economy. Gamer identity furnishes a revivified capitalism with compliant and ‘streamlined’ workers, but at times gaming culture also challenges the corporations that control game production. Analysing topics such as the links between technology and power, the formation of gaming culture and the subjective impact of play with computer games, this insightful text will be of great interest to students and scholars of digital media, games studies and the information society. Graeme Kirkpatrick is senior lecturer in sociology at the University of Manchester. "It is well researched, well argued, and one of the finest books to date on the subject of digital games." "The classic studies of games argue that play mirrors social life. But what kind of story must theory tell when society begins to resemble a game? This is the argument of Graeme Kirkpatrick's brilliant new book, Computer Games and the Social Imaginary. Drawing on recent social theory and an original analysis of the social role of aesthetics, Kirkpatrick makes a major contribution to our understanding of both games and society." "A rich and ambitious attempt to situate computer games relative to the transformation of capitalism over the last four decades. Kirkpatrick's thesis - which effortlessly combines sophisticated readings of the history of microcomputing and games with social and cultural theory - is nuanced, fresh and powerful. When I finished, I wanted to begin all over again." "Kirkpatrick’s discussion of the social significance of computer games is very thought provoking, and provides a valuable inclusion to the field of media and game studies."